4152001 WA400-1 KOMATSU WA400-1 Wheel Loader WA 400 series. Spare Parts Catalog. Service (workshop) Manual. Operator's Instruction Manual. 4152002 WA400-3A KOMATSU WA400-3A Wheel Loader WA 400 series. Spare Parts Catalog. Service (workshop) Manual. Operator's Instruction Manual. 4152003 WA400-3X KOMATSU WA400-3X Wheel Loader WA 400 series. Spare Parts Catalog. Service (workshop) Manual. Operator's Instruction Manual. 4152004 WA400-3H KOMATSU WA400-3H Wheel Loader WA 400 series. Spare Parts Catalog. Service (workshop) Manual. Operator's Instruction Manual. 4152005 WA400-5 KOMATSU WA400-5 Wheel Loader WA 400 series. Spare Parts Catalog. Service (workshop) Manual. Operator's Instruction Manual. 4152006 WA400-5H KOMATSU WA400-5H Wheel Loader WA 400 series. Spare Parts Catalog. Service (workshop) Manual. Operator's Instruction Manual. 4152007 WA400-5L KOMATSU WA400-5L Wheel Loader WA 400 series. Spare Parts Catalog. Service (workshop) Manual. Operator's Instruction Manual. 4152009 WA420-1 KOMATSU WA420-1 Wheel Loader WA 420 series. Spare Parts Catalog. Service (workshop) Manual. Operator's Instruction Manual. 4152010 WA420-1LC KOMATSU WA420-1LC Wheel Loader WA 420 series. Spare Parts Catalog. Service (workshop) Manual. Operator's Instruction Manual. 4152011 WA420-3 KOMATSU WA420-3 Wheel Loader WA 420 series. Spare Parts Catalog. Service (workshop) Manual. Operator's Instruction Manual. 4152012 WA420-3CS KOMATSU WA420-3CS Wheel Loader WA 420 series. Spare Parts Catalog. Service (workshop) Manual. Operator's Instruction Manual. 4152013 WA420-3H KOMATSU WA420-3H Wheel Loader WA 420 series. Spare Parts Catalog. Service (workshop) Manual. Operator's Instruction Manual. 4152014 WA420-3L KOMATSU WA420-3L Wheel Loader WA 420 series. Spare Parts Catalog. Service (workshop) Manual. Operator's Instruction Manual. 4152015 WA420-3MC KOMATSU WA420-3MC Wheel Loader WA 420 series. Spare Parts Catalog. Service (workshop) Manual. Operator's Instruction Manual. 4152017 WA421-1 KOMATSU WA421-1 Wheel Loader WA 421 series. Spare Parts Catalog. Service (workshop) Manual. Operator's Instruction Manual. 4152019 WA430-5 KOMATSU WA430-5 Wheel Loader WA 430 series. Spare Parts Catalog. Service (workshop) Manual. Operator's Instruction Manual. 4152020 WA430-6 KOMATSU WA430-6 Wheel Loader WA 430 series. Spare Parts Catalog. Service (workshop) Manual. Operator's Instruction Manual. 4152021 WA430-6Y KOMATSU WA430-6Y Wheel Loader WA 430 series. Spare Parts Catalog. Service (workshop) Manual. Operator's Instruction Manual. 4152022 WA430-6E0 KOMATSU WA430-6E0 Wheel Loader WA 430 series. Spare Parts Catalog. Service (workshop) Manual. Operator's Instruction Manual. 4152024 WA450-1 KOMATSU WA450-1 Wheel Loader WA 450 series. Spare Parts Catalog. Service (workshop) Manual. Operator's Instruction Manual. 4152025 WA450-2 KOMATSU WA450-2 Wheel Loader WA 450 series. Spare Parts Catalog. Service (workshop) Manual. Operator's Instruction Manual. 4152026 WA450-3 KOMATSU WA450-3 Wheel Loader WA 450 series. Spare Parts Catalog. Service (workshop) Manual. Operator's Instruction Manual. 4152027 WA450-3H KOMATSU WA450-3H Wheel Loader WA 450 series. Spare Parts Catalog. Service (workshop) Manual. Operator's Instruction Manual. 4152028 WA450-3MC KOMATSU WA450-3MC Wheel Loader WA 450 series. Spare Parts Catalog. Service (workshop) Manual. Operator's Instruction Manual. 4152029 WA450-3-X KOMATSU WA450-3-X Wheel Loader WA 450 series. Spare Parts Catalog. Service (workshop) Manual. Operator's Instruction Manual. 4152030 WA450-3L KOMATSU WA450-3L Wheel Loader WA 450 series. Spare Parts Catalog. Service (workshop) Manual. Operator's Instruction Manual. 4152031 WA450-3LL KOMATSU WA450-3LL Wheel Loader WA 450 series. Spare Parts Catalog. Service (workshop) Manual. Operator's Instruction Manual. 4152032 WA450-5L KOMATSU WA450-5L Wheel Loader WA 450 series. Spare Parts Catalog. Service (workshop) Manual. Operator's Instruction Manual. 4152033 WA450-6 KOMATSU WA450-6 Wheel Loader WA 450 series. Spare Parts Catalog. Service (workshop) Manual. Operator's Instruction Manual. 4152034 WA450L-3 KOMATSU WA450L-3 Wheel Loader WA 450 series. Spare Parts Catalog. Service (workshop) Manual. Operator's Instruction Manual. 4152036 WA470-1 KOMATSU WA470-1 Wheel Loader WA 470 series. Spare Parts Catalog. Service (workshop) Manual. Operator's Instruction Manual. 4152037 WA470-3 KOMATSU WA470-3 Wheel Loader WA 470 series. Spare Parts Catalog. Service (workshop) Manual. Operator's Instruction Manual. 4152038 WA470-3H KOMATSU WA470-3H Wheel Loader WA 470 series. Spare Parts Catalog. Service (workshop) Manual. Operator's Instruction Manual. 4152039 WA470-5 KOMATSU WA470-5 Wheel Loader WA 470 series. Spare Parts Catalog. Service (workshop) Manual. Operator's Instruction Manual. 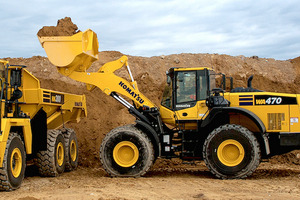 4152040 WA470-5H KOMATSU WA470-5H Wheel Loader WA 470 series. Spare Parts Catalog. Service (workshop) Manual. Operator's Instruction Manual. 4152041 WA470-6 KOMATSU WA470-6 Wheel Loader WA 470 series. Spare Parts Catalog. Service (workshop) Manual. Operator's Instruction Manual. 4152042 WA470-6A KOMATSU WA470-6A Wheel Loader WA 470 series. Spare Parts Catalog. Service (workshop) Manual. Operator's Instruction Manual. 4152043 WA470-6H KOMATSU WA470-6H Wheel Loader WA 470 series. Spare Parts Catalog. Service (workshop) Manual. Operator's Instruction Manual. 4152044 WA470-6LC KOMATSU WA470-6LC Wheel Loader WA 470 series. Spare Parts Catalog. Service (workshop) Manual. Operator's Instruction Manual. 4152045 WA470-7 KOMATSU WA470-7 Wheel Loader WA 470 series. Spare Parts Catalog. Service (workshop) Manual. Operator's Instruction Manual. 4152047 WA480-5 KOMATSU WA480-5 Wheel Loader WA 480 series. Spare Parts Catalog. Service (workshop) Manual. Operator's Instruction Manual. 4152048 WA480-5H KOMATSU WA480-5H Wheel Loader WA 480 series. Spare Parts Catalog. Service (workshop) Manual. Operator's Instruction Manual. 4152049 WA480-5L KOMATSU WA480-5L Wheel Loader WA 480 series. Spare Parts Catalog. Service (workshop) Manual. Operator's Instruction Manual. 4152050 WA480-6 KOMATSU WA480-6 Wheel Loader WA 480 series. Spare Parts Catalog. Service (workshop) Manual. Operator's Instruction Manual. 4152051 WA480-6A KOMATSU WA480-6A Wheel Loader WA 480 series. Spare Parts Catalog. Service (workshop) Manual. Operator's Instruction Manual. 4152052 WA480-6H KOMATSU WA480-6H Wheel Loader WA 480 series. Spare Parts Catalog. Service (workshop) Manual. Operator's Instruction Manual. 4152053 WA480-6LC KOMATSU WA480-6LC Wheel Loader WA 480 series. Spare Parts Catalog. Service (workshop) Manual. Operator's Instruction Manual. 4152055 WA500-1 KOMATSU WA500-1 Wheel Loader WA 500 series. Spare Parts Catalog. Service (workshop) Manual. Operator's Instruction Manual. 4152056 WA500-1L KOMATSU WA500-1L Wheel Loader WA 500 series. Spare Parts Catalog. Service (workshop) Manual. Operator's Instruction Manual. 4152057 WA500-1LC KOMATSU WA500-1LC Wheel Loader WA 500 series. Spare Parts Catalog. Service (workshop) Manual. Operator's Instruction Manual. 4152058 WA500-1LE KOMATSU WA500-1LE Wheel Loader WA 500 series. Spare Parts Catalog. Service (workshop) Manual. Operator's Instruction Manual. 4152059 WA500-1LC KOMATSU WA500-1LC Wheel Loader WA 500 series. Spare Parts Catalog. Service (workshop) Manual. Operator's Instruction Manual. 4152060 WA500-3 KOMATSU WA500-3 Wheel Loader WA 500 series. Spare Parts Catalog. Service (workshop) Manual. Operator's Instruction Manual. 4152061 WA500-3H KOMATSU WA500-3H Wheel Loader WA 500 series. Spare Parts Catalog. Service (workshop) Manual. Operator's Instruction Manual. 4152062 WA500-3L KOMATSU WA500-3L Wheel Loader WA 500 series. Spare Parts Catalog. Service (workshop) Manual. Operator's Instruction Manual. 4152063 WA500-3LK KOMATSU WA500-3LK Wheel Loader WA 500 series. Spare Parts Catalog. Service (workshop) Manual. Operator's Instruction Manual. 4152064 WA500-5 KOMATSU WA500-5 Wheel Loader WA 500 series. Spare Parts Catalog. Service (workshop) Manual. Operator's Instruction Manual. 4152065 WA500-6 KOMATSU WA500-6 Wheel Loader WA 500 series. Spare Parts Catalog. Service (workshop) Manual. Operator's Instruction Manual. 4152066 WA500-6H KOMATSU WA500-6H Wheel Loader WA 500 series. Spare Parts Catalog. Service (workshop) Manual. Operator's Instruction Manual. 4152067 WA500-6R KOMATSU WA500-6R Wheel Loader WA 500 series. Spare Parts Catalog. Service (workshop) Manual. Operator's Instruction Manual. 4152068 WA500-7 KOMATSU WA500-7 Wheel Loader WA 500 series. Spare Parts Catalog. Service (workshop) Manual. Operator's Instruction Manual. 4152070 WA600-1 KOMATSU WA600-1 Wheel Loader WA 600 series. Spare Parts Catalog. Service (workshop) Manual. Operator's Instruction Manual. 4152071 WA600-1L KOMATSU WA600-1L Wheel Loader WA 600 series. Spare Parts Catalog. Service (workshop) Manual. Operator's Instruction Manual. 4152072 WA600-1LC KOMATSU WA600-1LC Wheel Loader WA 600 series. Spare Parts Catalog. Service (workshop) Manual. Operator's Instruction Manual. 4152073 WA600-1LE KOMATSU WA600-1LE Wheel Loader WA 600 series. Spare Parts Catalog. Service (workshop) Manual. Operator's Instruction Manual. 4152074 WA600-3 KOMATSU WA600-3 Wheel Loader WA 600 series. Spare Parts Catalog. Service (workshop) Manual. Operator's Instruction Manual. 4152075 WA600-3D KOMATSU WA600-3D Wheel Loader WA 600 series. Spare Parts Catalog. Service (workshop) Manual. Operator's Instruction Manual. 4152076 WA600-3LK KOMATSU WA600-3LK Wheel Loader WA 600 series. Spare Parts Catalog. Service (workshop) Manual. Operator's Instruction Manual. 4152077 WA600-6 KOMATSU WA600-6 Wheel Loader WA 600 series. Spare Parts Catalog. Service (workshop) Manual. Operator's Instruction Manual. 4152078 WA600-6R KOMATSU WA600-6R Wheel Loader WA 600 series. Spare Parts Catalog. Service (workshop) Manual. Operator's Instruction Manual. 4152080 WA700-1 KOMATSU WA700-1 Wheel Loader WA 700 series. Spare Parts Catalog. Service (workshop) Manual. Operator's Instruction Manual. 4152081 WA700-1L KOMATSU WA700-1L Wheel Loader WA 700 series. Spare Parts Catalog. Service (workshop) Manual. Operator's Instruction Manual. 4152082 WA700-3 KOMATSU WA700-3 Wheel Loader WA 700 series. Spare Parts Catalog. Service (workshop) Manual. Operator's Instruction Manual. 4152083 WA700-3D KOMATSU WA700-3D Wheel Loader WA 700 series. Spare Parts Catalog. Service (workshop) Manual. Operator's Instruction Manual. 4152084 WA700-3L KOMATSU WA700-3L Wheel Loader WA 700 series. Spare Parts Catalog. Service (workshop) Manual. Operator's Instruction Manual. 4152086 WA800-1 KOMATSU WA800-1 Wheel Loader WA 800 series. Spare Parts Catalog. Service (workshop) Manual. Operator's Instruction Manual. 4152087 WA800-2 KOMATSU WA800-2 Wheel Loader WA 800 series. Spare Parts Catalog. Service (workshop) Manual. Operator's Instruction Manual. 4152088 WA800-2L KOMATSU WA800-2L Wheel Loader WA 800 series. Spare Parts Catalog. Service (workshop) Manual. Operator's Instruction Manual. 4152089 WA800-2LC KOMATSU WA800-2LC Wheel Loader WA 800 series. Spare Parts Catalog. Service (workshop) Manual. Operator's Instruction Manual. 4152090 WA800-3 KOMATSU WA800-3 Wheel Loader WA 800 series. Spare Parts Catalog. Service (workshop) Manual. Operator's Instruction Manual. 4152091 WA800-3E0 KOMATSU WA800-3E0 Wheel Loader WA 800 series. Spare Parts Catalog. Service (workshop) Manual. Operator's Instruction Manual. 4152092 WA800-3LC KOMATSU WA800-3LC Wheel Loader WA 800 series. Spare Parts Catalog. Service (workshop) Manual. Operator's Instruction Manual. 4152093 WA800L-3 KOMATSU WA800L-3 Wheel Loader WA 800 series. Spare Parts Catalog. Service (workshop) Manual. Operator's Instruction Manual. 4152095 WA900-1 KOMATSU WA900-1 Wheel Loader WA 900 series. Spare Parts Catalog. Service (workshop) Manual. Operator's Instruction Manual. 4152096 WA900-1L KOMATSU WA900-1L Wheel Loader WA 900 series. Spare Parts Catalog. Service (workshop) Manual. Operator's Instruction Manual. 4152097 WA900-1LC KOMATSU WA900-1LC Wheel Loader WA 900 series. Spare Parts Catalog. Service (workshop) Manual. Operator's Instruction Manual. 4152098 WA900-3 KOMATSU WA900-3 Wheel Loader WA 900 series. Spare Parts Catalog. Service (workshop) Manual. Operator's Instruction Manual. 4152099 WA900-3E0 KOMATSU WA900-3E0 Wheel Loader WA 900 series. Spare Parts Catalog. Service (workshop) Manual. Operator's Instruction Manual. 4152100 WA900-3LC KOMATSU WA900-3LC Wheel Loader WA 900 series. Spare Parts Catalog. Service (workshop) Manual. Operator's Instruction Manual. 4152101 WA900L-3 KOMATSU WA900L-3 Wheel Loader WA 900 series. Spare Parts Catalog. Service (workshop) Manual. Operator's Instruction Manual. 4152103 WA1200-3 KOMATSU WA1200-3 Wheel Loader WA 1200 series. Spare Parts Catalog. Service (workshop) Manual. Operator's Instruction Manual. 4152104 WA1200-6 KOMATSU WA1200-6 Wheel Loader WA 1200 series. Spare Parts Catalog. Service (workshop) Manual. Operator's Instruction Manual.